By the latest version VeryPDF HTML Converter, we can convert HTML file both of online website or local HTML file to multipage tiff file. Meanwhile, this software is professionally for converting HTML pages to PDF, PS, JPG and other image formats. For more information, please visit software homepage. In the following part, I will show you how to convert HTML file to multipage tiff file by command line. 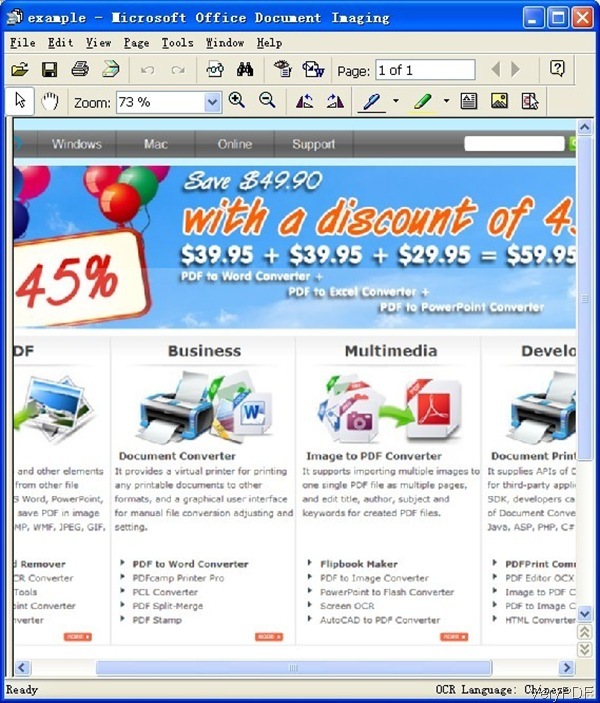 There are two versions of HTML Converter: GUI version and the command line version. Here I will take the command line version for example. And please note even if there is only server version available on our website, but it also can work under single computer or laptop. When downloading finishes, there will be a zip file. Please extract it to some folder then you can find the executable file and help document. Step 2. Convert HTML file to multipage tiff file by command line. When converting HTML file to multipage tiff file, please refer to the following command line templates. This software also can help you convert RTF file to multipage tiff file. When converting HTML to tiff, we can specify bit count and resolution in both X and Y directions. When converting online website to PDF, please add parameter webkit for better quality. If you need to know more parameters and examples, please read readme.txt carefully. Please note this function is only available in the latest version of HTML Converter. Now let us check the conversion effect from the following snapshot. During the using, if you have any question, please contact us as soon as possible. This entry was posted in HTML Converter (htmltools) and tagged command line, html to tiff. Bookmark the permalink.